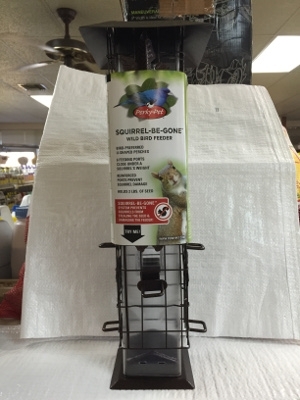 The Perky-Pet® Squirrel-Be-Gone® with Free Metal Hook features ports that close under a squirrel’s weight, preventing the squirrel from raiding the seed supply. 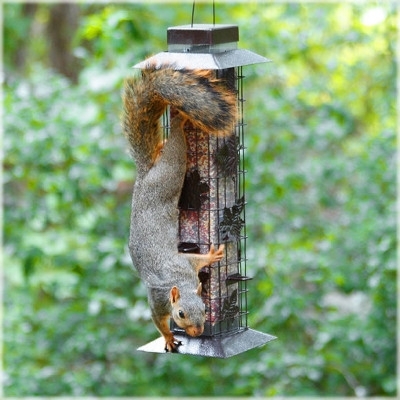 Also includes U-shaped perches that allow birds to feed comfortably. 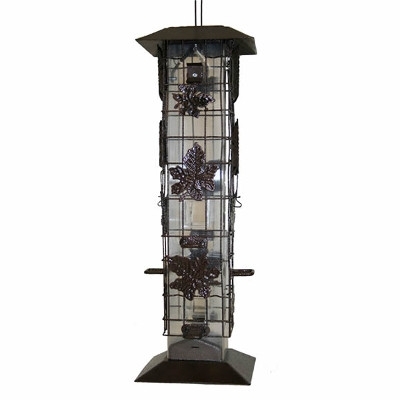 The interior seed tower is surrounded by rustic metalwork.